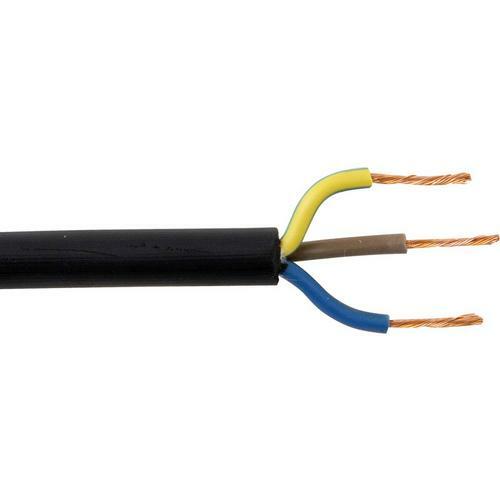 20 Amp Brown, Blue & Earth H05RR-F Flexible Circular Wire for Harsh uses such as repairing Tools such as Drills, Kangos, Grinders and Small Appliances such as Radios. More Durable than PVC and suitable for enviroments such as workshops. Great price and quality, speedy delivery with notification of posting. Bought this with advise from my electrician for a dimplex ac3n door heater. Dont know much about cable but electrician was happy. the price was competitive and my heaters now working so all round good service. Although out of stock, the customer care was excellent keeping me informed until delivery and the cable is perfect for the workshop environment it's intended for. Ordered, arrived, fitted and bingo, instant 16A extension for my welder.